New to London and have a thousand questions on your mind? Most of our consultants have lived in London for more than 20 years. Beyond your search for a place to live, they will be delighted to share with you information about the neighbourhoods and the practical aspects of your installation. Need someone reliable and dedicated to your search? To guarantee the best quality service, the same consultant will accompany you from the beginning of your search to the delivery of your keys. You ‘d rather speak French? All our consultants speak French and English. Expect our objective advice, we will help you to make the right choice. We only serve YOUR interests. Some of our clients have had to or wanted to change homes several times. After a first experience with KEYS TO LONDON, 95% of them have called upon our services again. Our team will start pomptly to start your search and present you with a first selection within agreed time, even for the following day. Short of time to do it yourself? We will contact all the estate agencies to select the properties that correspond to your criteria. If you wish, you may preview our list in advance. No time wasted. Available to help, our consultants organise property visits according to your schedule. In order to carry out the visits in maximum comfort and peace of mind, we usually drive you, avoiding you the hassle and parking costs . Looking to optimise the best value for money? Our thorough and deep knowledge of the London real estate market guarantees that you will pay the fair price for the selected property. When faced with several property matches, we can plan up to 18 visits a day. We offer a solid expertise. Interested in different neighbourhoods but only want one point of contact? Cannot make up your mind about a neighbourhood? Active for more than 14 years in the London real estate market, we have a strong knowledge of the different neighbourhoods, their strengths and their inconveniences. Therefore, we can give you accurate and reliable advice, taking into consideration your unique needs and your constraints. Don’t want to miss an opportunity? 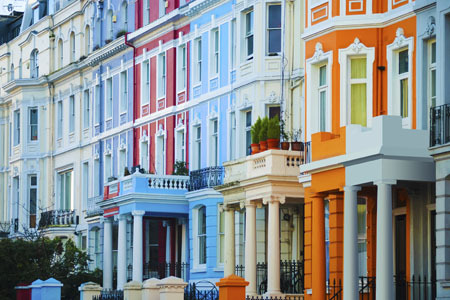 London real estate is fast moving and dynamic. In general, properties don’t remain on the market for long. It is our job to constantly monitor market activity and to be aware of the latest availabilities. 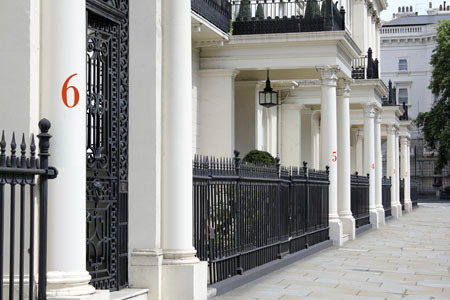 Long-established relationships with real estate agencies give KEYS TO LONDON a privileged position. We can even offer properties which are not yet listed on the market. Need to defend your offer? Having built a reputation of bringing serious and trustworthy tenants, we feel confident in saying that estate agencies like to work with us. Looking for other reliable professionals to help with your project ? 85% of our clients already live in London; Having requested the expert services of KEYS TO LONDON for their real estate operations, enabled them to save both time and money. Emilie quickly found an excellent corporate tenant and a reliable local agent to handle the legalities and billing. The tenant has respected the property, is pragmatic when issues come up, has paid the rent on time and most importantly has now been with us for over three years ! Emilie helped us look for a house when relocating to London and we were very impressed by her efficiency and professionalism. 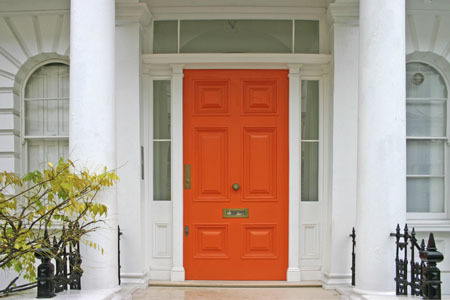 She knows the Clapham area like the back of her hand and is not afraid to go the extra mile to make her clients happy. I can highly recommend her services. I have used Emile twice for re-location. In both instances she has been wonderful and has hugely contributed to easing a painful process. I recommend her without reservation. Emilie helped us to find a house in London very quickly, meeting our criteria and budget. I can highly recommend her services. Emilie helped us look for a flat when relocating to London and we were very impressed by her efficiency. We visited almost 18 flats and found our flat in 2 days. She knows very well the area of Notting Hill, Holland Park and Kensington and is not afraid to go the extra mile to make her clients happy. We can highly recommend her services.